Most Chrome users are familiar with Chrome browser’s flags that let you access experimental settings and—when set up correctly—help to improve your browsing experience. However, you might not know that Microsoft Edge also includes a flags menu. It’s not openly advertised; Microsoft naturally doesn’t want people to change a setting that could crash their system. But with a bit of guidance, you can become a master of Edge’s flags. Like with Chrome, if you alter the right settings, you’ll notice a significant boost in your surfing enjoyment. Let’s take a closer look. Here are several hidden settings that will improve your Edge browser. To access the flags menu in Microsoft Edge, fire up the browser, type about:flags into the address bar, and hit Enter. When the menu first loads, you’ll only see two sections: Developer Settings and Standards Preview. To access the full list of flags, press Ctrl + Shift + D. You will need to restart the browser before any changes you make take effect. Warning: The settings in the flag menu are experimental and primarily aimed at developers. As such, they might not work as advertised and are liable to disappear without warning. Proceed at your own risk. In broad terms, it allows voice calling, video chat, P2P file sharing, and other related activities without the need for plugins or third-party apps. From a consumer standpoint, it has one flaw. By default, your IP address is visible to anyone who’s connected to you. If you head to Developer Settings > Hide my local IP address over WebRTC connections, you can quickly remedy the flaw. TCP Fast Open is an extension of the TCP protocol. In simple terms, TCP is a web standard that lets apps on your machine establish and maintain a network connection. It ensures the bytes exchanged are reliable and error-free. TCP Fast Open speeds up a TCP connection by using a cryptographic cookie to enable data exchange during TCP’s initial handshake. It cuts out the original delay. As long as both the client and the web server support TCP Fast Open, you will see web pages load up to 10 percent faster. Some reports even claim the improvements could be as much as 40 percent. To permanently enable TCP Fast Open, go to Diagnostics > Networking > Enable TCP Fast Open and select Always on from the drop-down menu. Be aware that the setting might have adverse effects on tabs which need to run extensive background processes. For example, you might find notifications are delayed, or syncing doesn’t occur as quickly as you expect it to. Millions of websites use old technologies. You’ll stumble across one every now and again. To see an example of what we mean, check out our list of websites from the 1990s that are still online today Relive the Web of the 1990s by Visiting These 9 Old Websites Relive the Web of the 1990s by Visiting These 9 Old Websites These nine websites were cutting edge back in the day. They came before the advent of super-slick graphics and Web 2.0, but today serve as nostalgic reminders of how far web development has come. Read More . If the underlying technology is too old, modern web browsers will not be able to display the content. 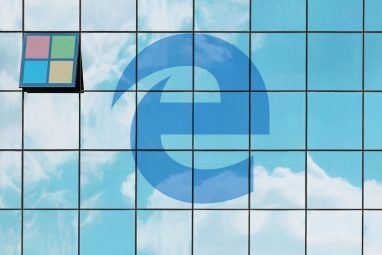 To combat the problem, Microsoft developed a “compatibility list.” If a site is on the list, Edge will adapt the code so it can display the page. But the list raises questions. How up-to-date is it? Is Microsoft checking the sites for updates? And what happens if a page has been updated but is still on the list? You don’t want to use the compatibility list unnecessarily; some page elements might not display correctly if you do. To disable the list, go to Developer Settings > Use Microsoft Compatibility List. Yes, you might still stumble across an odd page that won’t load, but if it’s that bad, you probably don’t want to waste your time with it anyway. Have you gotten yourself into a jam? If one of the flags you’ve enabled has caused problems, but you’re not sure which one is at fault, the easiest solution is to reset all the flags back to their default state and start afresh. Resetting the flags is easy. Enter the flags menu by entering about:flags in the address bar, and simply click on the Reset all flags to default button at the top of the window. Finally, let’s quickly look at how to disable the flags menu. It will prevent people from accidentally entering the menu and changing your configuration. You’ll need to use the Registry Editor—be warned that changing the wrong registry settings can have grave consequences for your system’s stability. Double check that you’re altering the correct values before proceeding, and always back up the registry before making any changes How to Back Up and Restore the Windows Registry How to Back Up and Restore the Windows Registry Editing the Registry unlocks some cool tweaks, but can be dangerous. Here's how to back up the Registry before making changes so they're easily reversed. Read More . Right-click on Microsoft and go to New > Key. Call it MicrosoftEdge. Now right-click on MicrosoftEdge and once again navigate to New > Key. Call it Main. Highlight Main and right-click in the panel on the right-hand side of your screen. Go to New > DWORD (32-bit) Value and name it PreventAccessToAboutFlagsInMicrosoftEdge. Set the value to 1, and you’re all set. To reverse the process, delete the newly-created PreventAccessToAboutFlagsInMicrosoftEdge value. Try the browser now and see if you can spot a boost in performance. 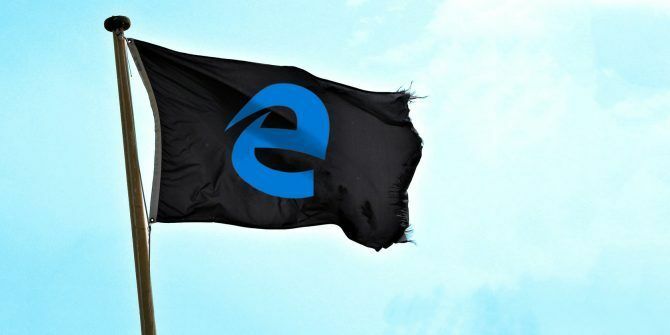 It may not be your main browser yet, but Microsoft Edge is a capable browser 10 Reasons You Should Be Using Microsoft Edge Now 10 Reasons You Should Be Using Microsoft Edge Now Microsoft Edge marks a complete break from the Internet Explorer brand name, killing off a 20-year-old family tree in the process. Here's why you should be using it. Read More with its own set of benefits. Explore more about: Browsing Tips, Microsoft Edge, Windows 10. Microsoft Paint Remains Part of Windows 10Edge vs. Chrome vs. Adobe Reader: Which PDF Viewer Is Best? When I try to install some add-ons in my Firefox 59.0.2,I am told that I am using FF52 and so the said add-on can't be installed.Why is this happening? Please direct the response to the email if the same does not arouse any suspicion in terms of malware/spyware.